Whoever coined the Irish proverb “When God made time, he made plenty of it” must have been blessed with immortality, or unlimited vacations. The rest of us measure our lives in years and our time off in weeks or days. If this has prevented you from visiting the land that spawned that bit of wisdom, take heart – you can see some of the best of Ireland in one week. Sure, you’ll be left wanting more, but any length of time on the Emerald Isle may leave you dreaming about your next trip. The High Kings of Ireland ruled from the Hill of Tara, but you’ll probably arrive in the modern-day capital of Dublin, on Ireland’s east coast. If navigating big cities isn’t your idea of vacation, you’ll appreciate that the country’s biggest city feels friendly and walkable. And if the sun is out while you’re exploring town, there are few tall buildings to block its rays. 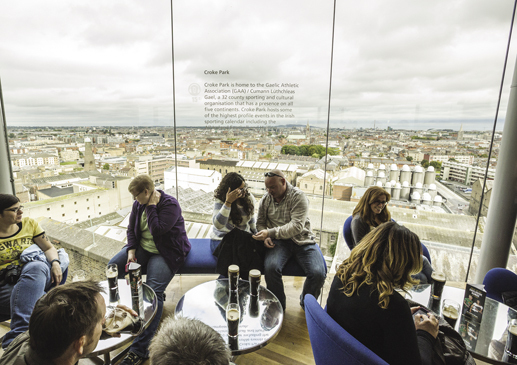 Climb to the bar at the top of the Guinness Storehouse and you’ll find an unimpeded, panoramic view of the city – and that’s just seven stories up. Back on the ground, you can get a flavor of Dublin with a walk that will feel invigorating rather than debilitating. 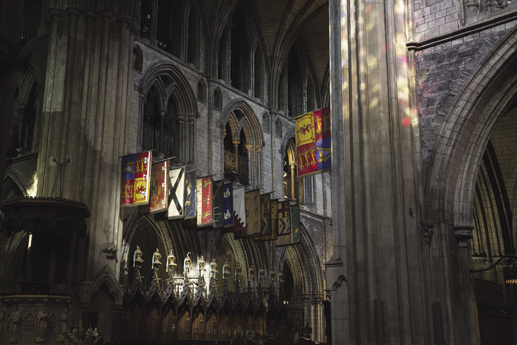 Stroll to St. Patrick’s Cathedral for a trip through much of the city’s fascinating history. The tombs, faded banners, sculptures, and parchments are brimming with stories and events, from a 15th century feud between earls to the sermons of Jonathan Swift to the first performance of Handel’s Messiah (in 1742). It’s hard to imagine traveling somewhere just to see a book, but if any tome is worthy of the honor, it might be the Book of Kells. It resides just a few blocks away, in the library of Trinity College. Containing the four gospels in Latin, it’s probably better known for its pictures (okay, illuminations). Human figures, mythical beasts, bright colors, and ornate motifs embellish the vellum pages of its four volumes, two of which are on display. But don’t expect to thumb through its pages – it’s under glass and is probably over 1,200 years old. All of this only scratches Dublin’s surface. Still, you’ll want to look beyond the capital – to me, the small towns, green hills, and rugged coastlines are where you’ll find the spirit and soul of Ireland. 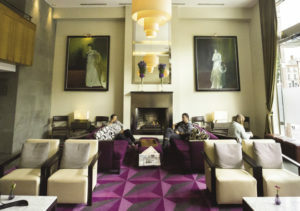 Head west on the smooth motorway, and in less than three hours you’ll find yourself rolling into Galway, on the opposite side of the country. But save this city for the way back – for now, the countryside calls. A bit farther west, you’ll find yourself in a region that might just resemble a fuzzy dream of how you imagined Ireland to be. 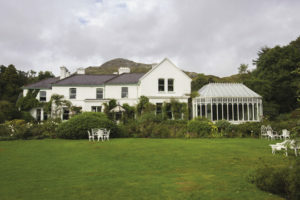 In Connemara, glacier-scraped hills tinged with mist descend into rocky lowlands of lakes, peat bogs, and expanses of green and gold resembling watercolor landscapes. Coastal roads wend around rocky coves, along unexpected white-sand beaches, and through Gaeltacht regions where Irish is still the primary tongue. If the weather is fine, it’s a good time to leave the car behind and explore one of the area’s many hiking trails. Ambitious amblers can climb some of the Twelve Bens (a range of a dozen small mountains), while others may prefer to explore a beach at low tide, photograph the changing skyscape, or stop and smell the peat, which is cut in bricks from the bogs to heat homes and even flavor whiskey. If storm clouds threaten those plans, you can retreat early to your inn and watch the wild weather from a window, a book in one hand and maybe one of those peaty whiskeys in the other. 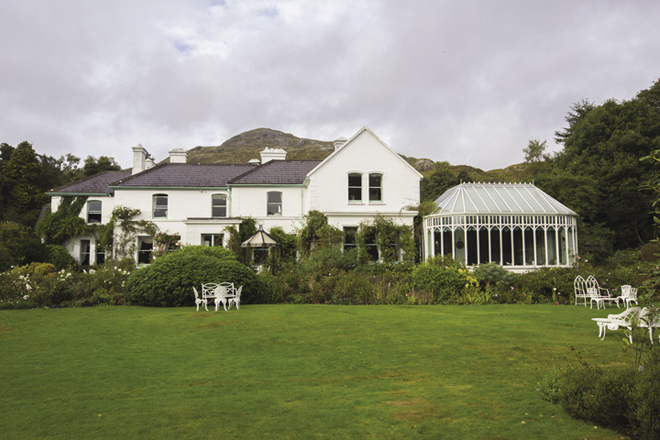 Treat yourself to two nights here to give the country vibe enough time to set in. Leaving Connemara and heading south, festive Galway lies in your path, and this time you should stay awhile and see why it’s called “Ireland’s Cultural Heart.” Events and festivals fill its calendar, its National University delivers a youthful vibe, and the sounds of guitars, fiddles, and bodhrans emanate from the open doors of pubs and taverns. If you have a taste for sampling local cuisine, find your way to one of the city’s excellent restaurants and try some of the native Galway Oysters. They’re in season from September to April, but if you’re there in the last week of September you’ll find yourself in the middle of the International Oyster Festival – Galway’s way of turning a tasty dish into a four-day-long party. When the food and festivities are fading in the rear-view mirror, it’s only an hour and a half’s drive to the town of Doolin further down the coast. 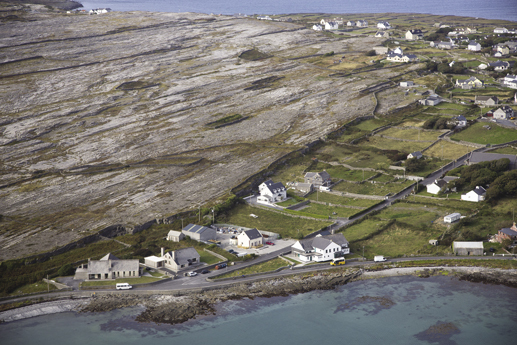 From here you can board a ferry for a ride out to the isolated and fascinating Aran Islands. The three islands are teeming with religious and archeological history and hint at Irish life long ago. You’ll find fishermen, farmers, artists, and craftspeople among the 1,200 or so residents, most of whom speak Irish. Walk or cycle the narrow lanes past white-washed cottages (some with thatched roofs) and along fields divided and subdivided, seemingly ad infinitum, by a maze of stone walls built painstakingly by hand. On Inishmore, the largest island, explore “the most magnificent barbaric monument in Europe,” Dun Aengus, a huge stone ring fort built upon 270-feet cliffs and dating back to the early Iron Age. The relaxed pace of the least populated island of Inishmaan (only about 160 people reside there year-round) will give you time to appreciate the area’s unusual arctic, Mediterranean, and alpine flowers, and the smallest island in size – Inisheer – is a wonderful perch from which to ponder the Cliffs of Moher in the distance. 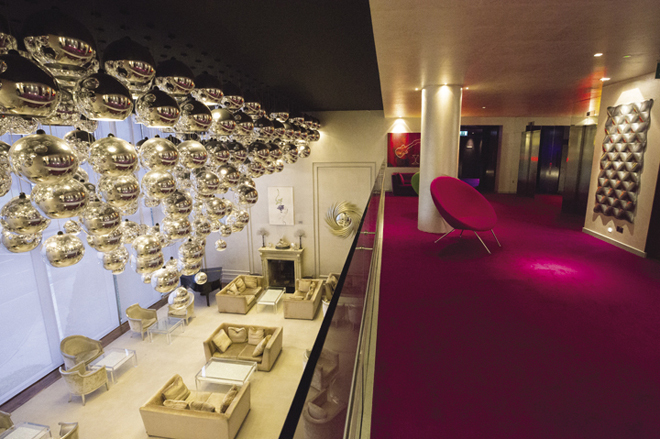 Stay the night on the island of your choice – each one has hotels and bed and breakfasts. After you return by ferry to Doolin, you can peer down from the very heights of the aforementioned Cliffs of Moher, one of the most spectacular natural sites in Ireland. You can drive to the adjacent visitor center, but if you have the time and energy, the 8-kilometer coastal trail from Doolin is a much more rewarding and natural way to experience the cliffs. In fact, the entire west coast of the country sports a string of natural attractions and activities, from steep cliffs to long beaches, from whale watching to surfing waves. 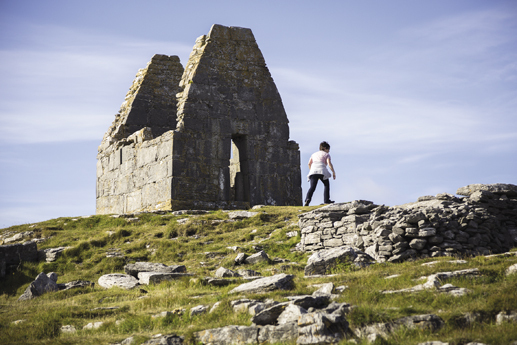 It all falls along the newly designated Wild Atlantic Way, a well-marked route guiding you to some of the best of Ireland’s scenery and culture. If your next trip leaves you more time for exploring, you can follow the distinctive zigzag signs down the coast and see much more of Ireland’s wilder side. But for now, return to Doolin for the night because after dark, three pubs in this unassuming little town host top-quality traditional music sessions year round. Order a bowl of mussels and a well-earned pint of stout and enjoy the craic with a packed room of tourists and locals alike. 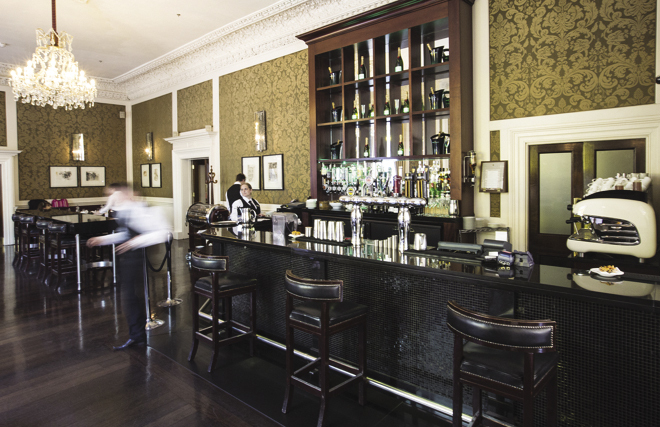 You’ll probably want to spend your last night back in Dublin before your return flight. 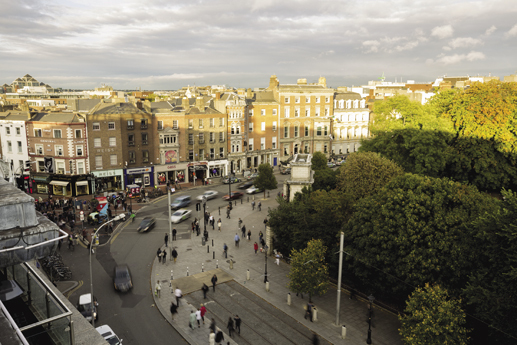 You could use the opportunity to do some shopping along Grafton Street, trace your Irish ancestors at the National Library, or just relax by the fountain in the city’s 22-acre St. Stephen’s Green, a quiet, leafy oasis in the heart of it all. 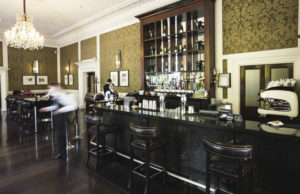 Few of us have enough time for meaningful travel, but seven days can serve you up a healthy slice of Ireland, and while it is just a tasting, the music, merriment, and memories will linger far longer. 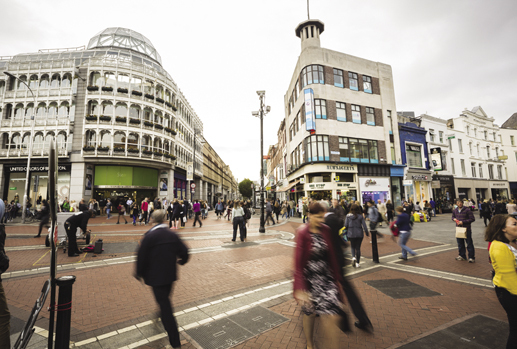 Shoppers on Grafton Street, Dublin, Ireland. Visitor climbing to St. Benan’s Church, Inishmore, Aran Islands. St. Patrick’s Cathedral, Dublin, Ireland. Visitors tasting Guinness at the Gravity Bar atop the Guinness Storehouse, Dublin, Ireland.